Constituents: volatile oil, bitter principle (absinthin), flavonoids, tannin. 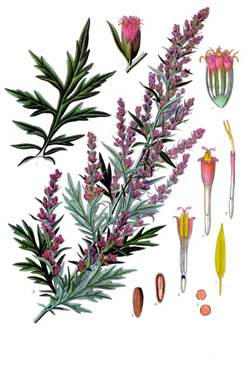 As all the bitter herbs, mugwort is an excellent digestive stimulant and is quite effective taken before or after heavy meals to alleviate gas and bloating. Preparation Methods & Dosage :Mugwort can be taken in teas, or tinctures. Often mixed with lemon balm or other sweeter herbs. Traditional Chinese Medicine Burning mugwort in moxibustion heat therapy is one of the oldest forms of Chinese traditional medicine and is used to stimulate the flow of qi and maintain general health. 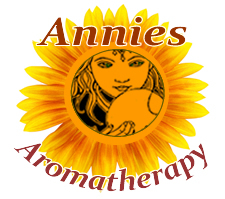 It especially dispels cold and dampness. Mugwort Side Effects: Nontoxic, but as with all herbs with emmenagogic properties, avoid in early pregnancy. Not for long term use. Avoid large doses. Tiny clusters of whitish-green to yellow flowers bloom in midsummer. Leaves are dark green above, gray green below. Found growing worldwide, it's strong sage fragrance is uplifting and refreshing. In the Middle Ages, the plant was known as Cingulum Sancti Johnnis, it being believed that John the Baptist wore a girdle of it in the wilderness. It was believed to preserve the wayfarer from fatigue, sunstroke, wild beasts and evil spirits generally. A crown made from its sprays was worn on St. Johns Eve to gain security from evil possession. Its chief employment is as an emmenagogue, often in combination with Pennyroyal and Southernwoods. 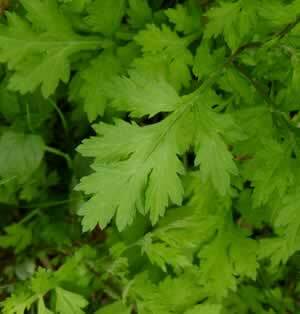 Mugwort is also useful as a diaphoretic in the commencement of a cold.